In response to new listener habits, musicians are writing and releasing their music in new ways. Overall, there’s a sense in the industry that if artists wait too long to put out new music, they’ll lose fan interest simply due to the fact that so much new music is now being released so often. 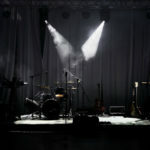 Some musicians devote their time writing single after single in hopes that one of their efforts will make its way onto popular playlists. Others opt to stretch out the original album concept by releasing parts of an album either one or a couple of songs at a time. But while re-thinking the way you put your music out into the world makes sense, releasing your music through full-length albums or EPs is still the best route as far as press and radio is concerned. While music blogs seem to be more open to the idea of featuring singles or portions of albums, most major tastemaking radio stations, alt weeklies, and newspapers seem to greatly favor artists who put out traditional albums. In fact, many radio stations still refuse to accept digital albums. 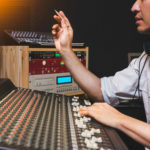 Streaming platforms are undoubtedly giving many smaller artists a leg up as far as exposure goes, but when it comes to getting your music featured on traditional radio, the road gets quite a bit tougher. Got a track to sell? Let us distribute it for you, fast and easy. If you’ve got a bunch of loose singles you want to promote through traditional means, the easiest solution is to group them all together and release them as an album. But that’s not much of an option for artists who take an experimental approach to their releases. The world expects albums to sound somewhat cohesive, so throwing together a bunch of disjointed songs might not be the best way to give the world a way to define and understand your music. An album is a huge defining musical moment even for an artist, so it’s best not to waste that opportunity on anything other than your best effort. There is no doubt that music has been rapidly changed in the last few years. I believe people also like unique sounds and music.